If a tooth has a large filling or is fractured or cracked, the Dr may recommend a crown as the treatment of choice for the long term stability and health of a tooth. 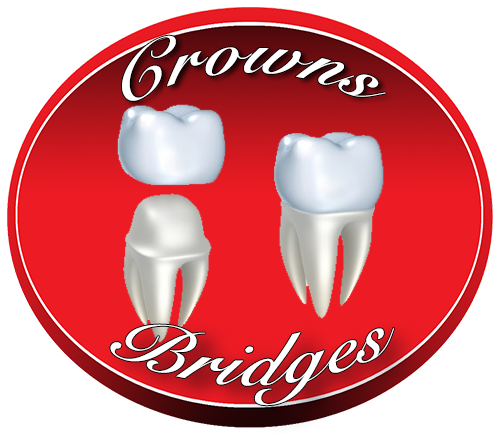 A crown covers the remaining tooth structure and filling material to return the tooth to optimal function and form. Missing teeth cause a variety of problems in the adult mouth. A fixed bridge is an aesthetic way to replace those missing teeth or single tooth. A bridge is a way of replacing a tooth by using the teeth on either side of the space as supports and suspending the missing tooth/teeth in between with one prosthesis.